A man who has shaped the lives of hundreds of children, imparting knowledge and treasured values, has walked from the classroom for the last time. After 36 years’ service as a secondary school teacher, Robbie Weatherald has retired. A teacher in physical education, health, geography, social education, drama, careers and biology, he began his career at remote Titjikala, and moved to Yirara College in Alice Springs before working at Driver High School until 1997. In 1997 he joined the Northern Territory Open Education Centre as a writer of health courses for Aboriginal students. 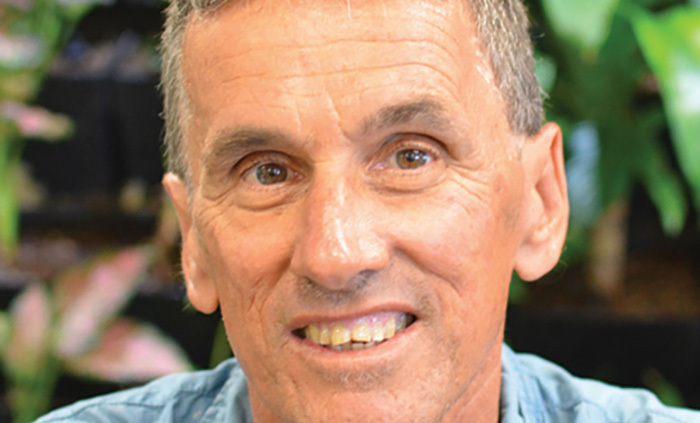 After a return to Driver High School in 1998, and a term at the newly named Palmerston High School in 1999, he rejoined the NTOEC (now the NT School of Distance Education) in May 1999, where he taught and developed curriculum materials until his retirement. The energised teacher had a strong commitment to physical education, demonstrating exercise regimes and the benefits of physical fitness to students. “Robbie is a man of insight, intuition and compassion, who inspired his students to excel by overcoming the constraining boundaries of fear,” said NTSDE senior teacher Jenny Godden. “He tirelessly nurtured the potential in all his students, time and again bringing a struggling student over the line, reaffirming their sense of self-worth and opening their minds to the possibilities ahead of them. The health and fitness enthusiast is an aficionado of cricket, baseball, triathlon and AFL, who distinguished himself as an exemplary player in South Australia’s Sturt Football Club. Apart from contributing to a variety of sporting and community organisations, he is also a Northern Territory Football League umpire and junior league coach in Darwin.